When choosing a pre-workout meal, it is important that you eat something that provides your body with enough energy to be able to work out properly. Read on to know more. Hooping is a full body, high-intensity low-impact workout that requires exceptional co-ordination between complex muscle groups. 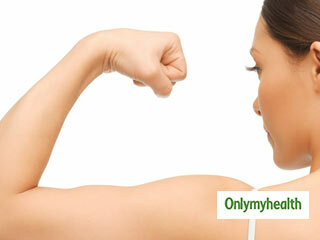 It challenges your brain's motor skills as well as your muscles. 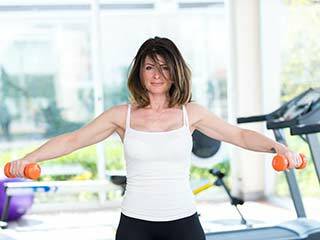 Arm exercises for women that can help them have slim, toned arms do not need to be heavily equipped; a few lifts and movements at home can easily get one those perfect arms. Apart from strengthening your leg muscles, leg workouts help you build your core. Leg exercises are fantastic for your balance and coordination. Read on to see how. What we do before and after gym is as important as what we do in the gym. If you are not doing things right, it not only breaks your performance in the gym but also gets in the way of your goals. Although twenty minute workout sessions are undertaken by trained professionals, some workouts that can be done by everyone are listed here. Include these workouts in your daily routine to get a toned body. Working out during monsoon should not be taken lightly. Take a look at some guidelines on working out during monsoon. Know your body type and base your fitness regimen on that for best results. All fitness trainers would agree on this. Staying fit is an obsession for most people, and they push themselves as far as they can go. The one-arm push up is exactly one such exercise which is big on challenging you. Know its technique. 4-minute Workout to Burn 600 Calories: Guaranteed!